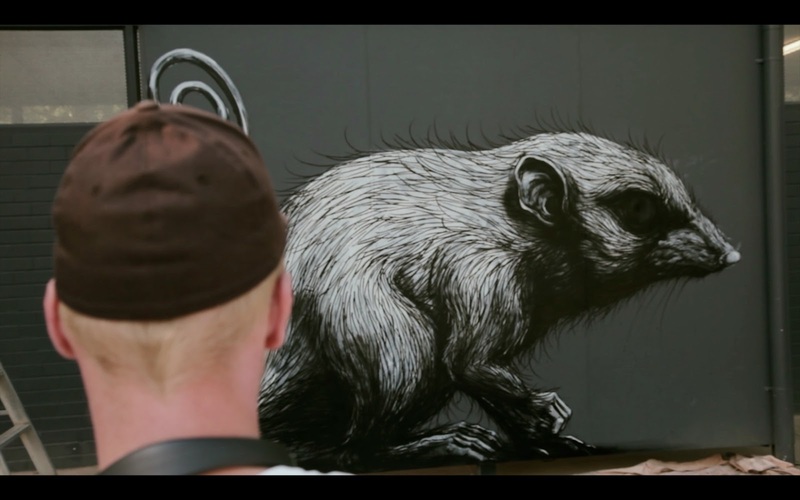 Belgian street artist Roa recently visited Australia to exhibit a selection of new works at Backwoods Gallery, Melbourne. The exhibition, aptly titled Carrion, consists of a series of works in his characteristic style: oversized animal portraits, the creatures at once elevated and eerie, though this time focusing on the unique fauna found in Australia. During his time in Melbourne, Roa struck up a collaboration with the staff and animals of Healseville Sanctuary, a nature reserve dedicated to native Australian species. The Sanctuary commissioned two works to be painted on their grounds north-east of Melbourne and provided consultation, information and inspiration for the artist in turn. Here, emerging filmmaker Matt Harding follows Roa over a weekend as he encounters the strange and wonderful animals native to this country and reinterprets them on various sites within the Sanctuary.